Now is the winter of our discontent: In November 2004, Ford appointee, Joe Greenwell faced a panel of hostile UK parliamentarians at the Trade and Industry select committee in Whitehall, seeking explanations for his parent company’s decision to close Jaguar’s spiritual Browns Lane home and primary carmaking site. Outside of any residual concerns MPs may have had regarding the loss of jobs or the wider industry fallout, the UK government also maintained a vested interest, having sanctioned grants in the region of £80m towards the £400m redevelopment of the former Pressed Steel Fisher plant at Castle Bromwich as part of the Jaguar X200 Programme. Nine years prior to Greenwell’s Westminster grilling, FoMoCo had played it tough, warning the DTI that should governmental assistance not be forthcoming, X200, then in development, would be built in the United States. Keen to safeguard jobs, the ideologically non-interventionist Conservative administration caved. Now their cross-party equivalents wanted answers. Greenwell spoke of a failed growth strategy, admitting that his Ford masters had been over-optimistic and had underestimated the opposition. By then, the New Jag Generation had not only failed to achieve anything close to its sales projections, but had been critically and commercially humbled by the German opposition. Launched in the autumn of 1998, the S-Type was to be the posterchild to Ford’s ambitions for its leaping cat brand. But in time-honoured Jaguar fashion, the story begins much earlier. Over a decade earlier in fact, while Jaguar was an independent entity. With development progressing on the XJ40 saloon, stylists and engineers examined the prospect of a more compact car, dubbed XJ80. It’s believed that nothing existed apart from a few stylistic renders, but as Jaguar entered serious talks in 1989 with General Motors over a 25% stake in the business, exploratory work began upon an Omega-based, Jaguar styled model, which would theoretically have been built alongside the Opel version in Rüsselsheim. Ford won the bidding war in the winter of 1989 but with Jaguar haemorrhaging $millions, nothing further would be done about a midline saloon until around 1994, when the X200 programme was initiated under CEO, (Sir) Nick Scheele. However, despite Jaguar’s fortunes having been turned around on the back of renewed product lines, funding remained tightly controlled. Speaking to DTW, former head of product strategy for the X200 programme, Jonathan Partridge, told us, “Because they wanted to keep the investment in the programme to a sensible level and look at parts sharing within the wider Ford empire, we ended up jointly developing it with the Lincoln DEW98 [LS]. That led to a lot of compromises in the engineering of the vehicle.” This would encompass aspects such as the V6 engines and suspensions, to gearboxes and electrical hardware. “That 5R55 Ford Explorer gearbox was a dreadful thing,” he recalled. During this period, management is alleged to have commissioned a styling handbook – a ‘holy writ’ for Jaguar designers. In it, a list of seemingly inviolate styling cues were set out. This tick-box approach may go some way to explain X200’s hapless form, because stylistically, the S-Type was a textbook committee design. Yet, within Browns Lane’s product strategy function, the mood regarding X200’s style was upbeat. “I was on board with the sort of Mark 2 look-back”, Jonathan Partridge stated. “We were comfortable with the heritage”. But if the bodyshape elicited mixed feelings, the cabin represented an altogether different level of inadequacy. While it is clear that the budget for X200 was tight, nothing visible apart from some switchgear (and the rudimentary nav-screen where fitted) was shared, which makes the decision to sign off on perhaps the cheapest and nastiest Jaguar interior in history even more astonishing. Most glaring was the centre stack, a semi-circular shaped moulding appropriately dubbed “the urinal of technology” by some Browns Lane wags. Launched amid fevered anticipation, the S-Type received a broadly positive critical reception, although its drivetrain refinement was criticised, not to mention the uninviting interior ambience. Certainly, against BMW’s masterfully honed E39 5-Series or the cool Bauhaus sheen of Audi’s C5 A6, the new contender from Castle Bromwich fell glaringly short. Only the risible Mercedes W210 E-Class could offer much solace. Nevertheless, early sales were strong, but it quickly became apparent that the S-Type, far from gaining conquests from its German rivals, was in fact taking significant numbers of customers from the more expensive XJ-Series, a matter compounded by the cars’ relative dimensions. Because while X200 was marginally more compact, internally there was little between them. With the arrival of former BMW product supremo, Wolfgang Reitzle to lead Ford’s Premier Automotive Group, one of the earliest decisions the patrician German made was to order a major re-engineering upgrade for X200. Changes were made to the DEW98 platform, a state of the art ZF gearbox transformed the drivetrain, while suspension revisions markedly improved both ride and handling. Inside, the dashboard was revised, losing the woefully downmarket treatment of the first-series cars, while externally, the grille was redesigned, while the removal of the side rubbing strips decluttered the flanks. The party line was that customers liked the styling, but the truth was that there simply wasn’t enough of them – a direct consequence of the way the S-Type both looked and felt. A lack of engine choice proved another failing; for the first three years of the car’s career, the smallest engine available was the seemingly less than metronomically reliable Duratec-based AJV6 3.0 litre unit. Not so much of an issue in the land of the gas guzzler, but in Europe, rivals offered big-selling 2.0-litre petrol and compression-ignition alternatives. A lack of body styles was also cited. An estate model was rumoured to have been considered, but nothing came of it. 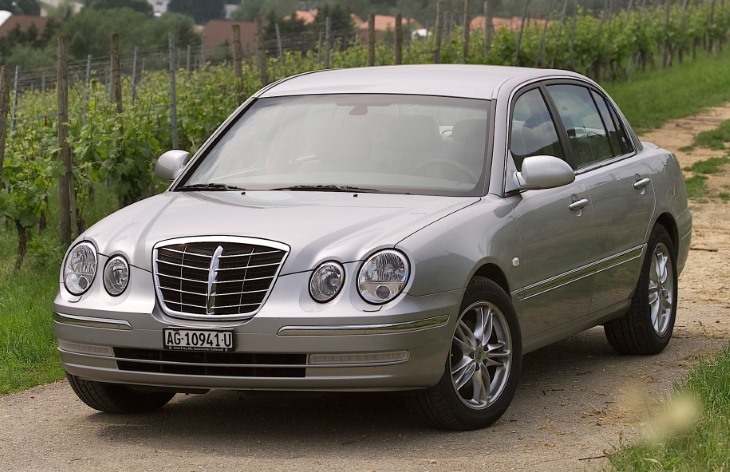 A major restyle occurred in 2004, which addressed many of the original car’s most egregious stylistic sins, and offered a far more convincing cabin ambience. This revision saw the S-Type achieve maturity but it came too late to save the model, which had lost its appeal to all but a diehard contingent. 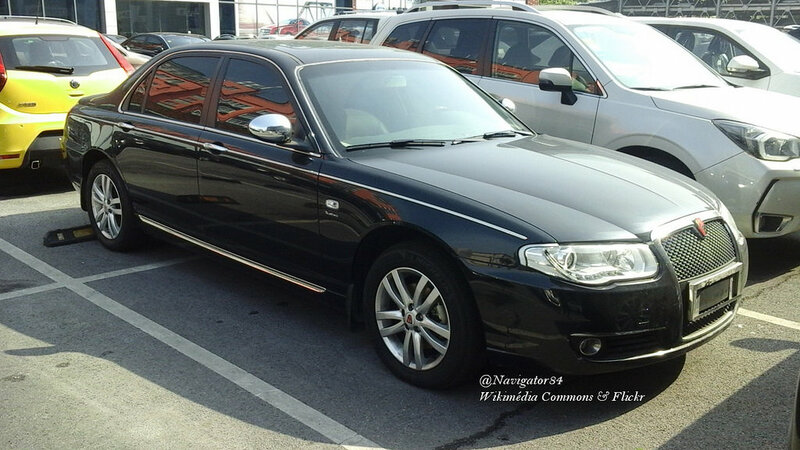 The end came, not a moment too soon in 2007, its XF successor illustrating that a market existed for a progressive Jaguar product. If X300 was believed to have saved the business in 1994, while the X100 XK8 lent the new Jag generation some much needed credibility two years later, X200 was intended to catapult the leaping cat into the big time. Instead, a half-baked and underfunded programme saw two flawed model lines being offered, ensuring neither came close, either to meeting performance targets or adhering to marque values. Today, X200 represents Jaguar’s creative nadir. Developed at vast expense and a store of good intentions – the factory alone cost almost half a £billion – an over-confident strategy assumed customers would accept a flawed product by dint of its badge and some cosily nostalgic styling. Had Jaguar got that element right at least, the S-Type might have stood a chance, but instead it committed the most unpardonable sin of all. After all, a Jaguar that lacks style really is no Jaguar at all. In the end, X200 drank so deeply from the well of ugliness as to become a laughing stock. But if the joke was on Browns Lane, the bitter irony is that Ford was perhaps the biggest loser. To some extent, they’re still feeling the effects. Clearly nobody warned them that cats possess sharp claws. Excellent reading about Jaguar, Eóin. I’ve never driven a s type but always had a soft spot for them. Maybe it’s a feeling sorry syndrome, maybe I actually like it. But phrase of the day just has to be “urinal of technology “ which made me drop the iPad. In facelifted form, this car is not bad. I can´t help seeing in the IP the ghost, a ghost merely, of the Ford Focus 1 shape. Was it so obvious the S would rob sales from the XJ? Even I, a non-committed person, see them as two different bananas. Different in what way? The XJ is more like a sports limousine while the S could be a family car and more useful for routine activities. The overlap between the cars was addressed, wasn´t it, as soon as the XJ went aluminium. It´s probably a factor that while these cars lose something under the British sky, they are a far more alluring proposition on the continent. Lighting, surroundings : they bring out the nice aspects of the car´s shape and character. Good morning, Eóin. Another great piece on Jaguar, thank you. I really wanted to like the S-Type, but could never take to the design, the single biggest failure of which was that feature line running along the body side, which gave the car a droopy appearance. The original centre console was laughably awful! The facelift was a partial success, although I thought the new tail lights cutting into the top of the rear wing looked rather cheap, like the first generation facelift (Mk2) Mondeo saloon or W202 C-Class. Moreover, the arched chrome strip connecting them looked incoherent, not connecting properly to the lights’ graphic in any way. Overall, it’s a moot point as to whether or not the facelifted rear was an improvement. I think not, but judge for yourself. Having read the other DTW piece by Eóin on this facelift, I realise that I’m in the minority regarding its success or otherwise. We can agree that the dashboard was a major improvement. It could hardly have been made worse! I prefer those new rear light covers. The Mk1 bumper was mess like the Citroen C5 and for the same reason. A real improvement was the brilliant and very smooth Diesel engine. The resemblance is there. It does not scream at me though. 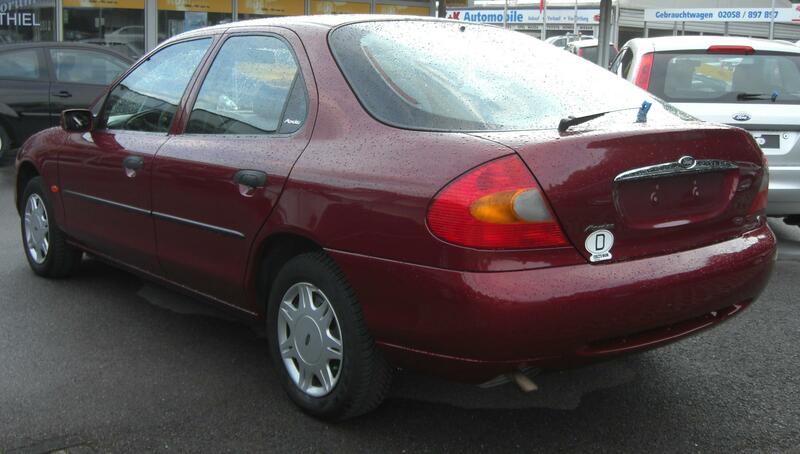 The Mondeo had quite generic lamps and I suppose in the case of Jaguar they could not put in something more distinctive. I think you might be being a trifle harsh on the Mondeo, perhaps. For me the revision is superior to the original. There are parts of each I prefer, but overall I’d judge the revised version better. On the original the way the sill (cill?) flows into the rear bumper is good, but everything above that I find better on the revised version. There’s a late-model Type R, in black, that lives near me, and that still looks menacingly attractive. Never mind the traditional rivals – at launch, the S Type was shown up by the (BMW engineered) Rover 75, launched at the same time and – despite being much cheaper and smaller – an outright better car. Ouch. What is extraordinary is that Jaguar then managed to salvage this dog’s dinner and create the 1st gen XF. Jacomo: I’ve always felt the Rover 75 while having the courage of its retro-convictions was a bit ‘Anne Hathaway’s Cottage’ for my taste. However, it has dated (in pre-facelift form) far, far better. It’s still a very handsome car. I thought the facelift was subtly effective, but nothing short of a complete reskin (i.e. the XF) could have saved the S-Type from that swage line and play-dough like styling. Like Marcus, I’d say the introduction of the diesel at the same time as the facelift was the major fillip to its appeal and sales – the engine is shared, of course, with the last C5, C6 and 407 Coupe. Further, I agree with Jacomo in that the R75 was a far more like-able slice of cod-British retro – those flanks (on the original and early cars, before MGR de-contended the car in the name of cost reduction) still have the power to make me go weak at the knees. “cod British retro”? Hmmm. Is it not fair to say the 75 series 1 is still a fine-looking car today? An alternative question, is whether there can be real British retro or is British retro always bound to be “cod”. As a non-Briton coming from a land with no industrial design heritage, I hope it is not presumptuous to ask why Britain has such a hard time with its past. (This could be an intro into matters Brexity but I don´t want or expect that). 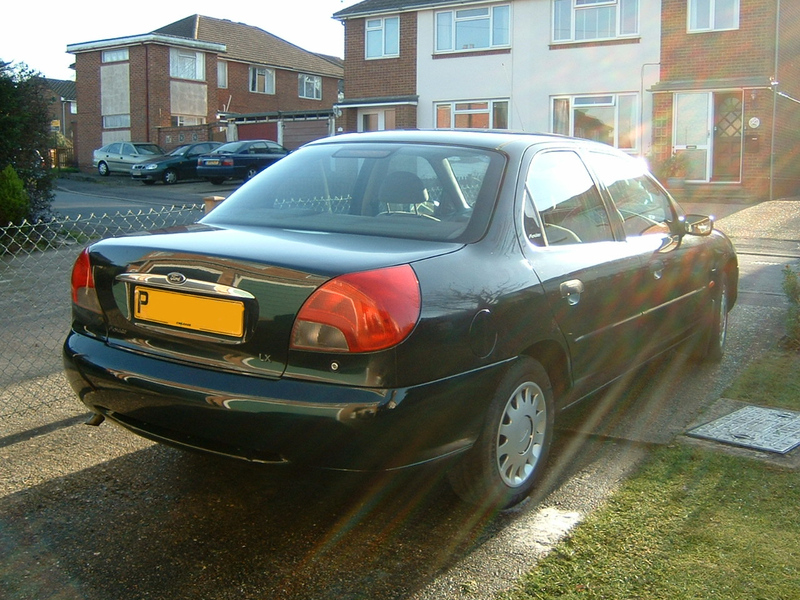 To reiterate, I like the Rover 75, I think it’s a well proportioned, thoughtfully surfaced car on the outside, with a warm and comfortable interior design, that came in some lovely colours too. My main irritation, personally, was the headlamp arrangement. The car was clearly meant to have single, slim, horizontal headlamps (as per the Rover 400) and yet it ended up with the slightly awkward rounded, twin-lamp arrangement framed by the original bonnet pressing. Overall, there is a sense that someone on high one day descended on Richard Woolley (a design for whom I have a lot of time – I think a lot of his work is terrific) and demanded that he make the 75 look more ‘classic’ but adding chrome details and highlights all over the place, as well as adding in the quad round headlamps: I think Mr Woolley did a very good job of making that work quite elegantly, but it definitely gave the car a more retro look than he originally intended. I think, though, the singularly retro look did alienate buyers – not helped by certain, high profile, motoring journalists taking against it – by giving the car a certain image it couldn’t shake off (Richard Porter writes about it, coincidentally, in his column in this month’s Evo magazine). I think it is helpful to compare the 75 and S-Type’s approach (I would bracket them together as being part of the ‘cod British retro’ genre – I admit my terminology is a bit unkind and vulgar – with one being a much more skillful and pleasing execution than the other) with that of the XF and even current generation XJ. Making it up as I go along as I do, I have thought the XF’s look is somewhat ‘post-retro’ in that the historical brand and national (or should that now be ‘patriotic’) references are still very clearly there, but the execution is far more modern and nuanced. It’s like in films, sometimes the narrative is too ‘on your nose’ (i.e. laboured and obvious) when a look or even a silence can be far more powerful in the story-telling. By the way, I’d classify the Alfa 156 and 159 in the same bracket – cleverly modern interpretations of past details or themes. Not everyone is a fan of his all of his work, but I think this has been Ian Callum’s prime reason of being whilst at Jaguar, with the F-Type and now i-Pace probably being the most successful examples (although I still love the current XJ for all of its odd bits and pieces). I’m not sure I would describe them as generic. Er…distinctive, certainly! I was thinking of the pre-facelift ones. The revision is good. I liked that car. The X204 facelift’s chief success was to pull the eye inwards (and at the rear), upwards. The later car looks more athletic, which isn’t saying much I’ll grant you, but given what he had to work with, I think the Callum-inspired revisions were quite clever. Did they turn X200 into a swan? Absolutely not. Did they tidy it up so that it was broadly acceptable? Undoubtedly. The revised taillamps always put me in mind of those fitted to the (2001?) Audi B6-generation A4 series, although Ingolstadt did without that silly piece of brightwork, which Daniel rightly highlighted above. I never understood this feature as applied to virtually every Jaguar model of this era. Less was always more during the Lyons era. Speaking in 2004, Callum said he wished he had changed the front more radically as well, but what was done was quite comprehensive – the grille was reshaped and positioned far more vertically, while the headlamps were faired in. What both the S-Type and the Lancia Thesis illustrated (Alfa Mito as well, perhaps?) is that vertical grilles are very difficult to get right if you wish to provide an illusion of width. The swage line remains the sticking point however. The costs of changing this were probably prohibitive, because if you were going to change the door pressings, you might as well go for a total below-beltline reskin. But despite the efforts to fool the eye, the manner in which the swage drops has the effect of pulling one’s vision downwards. Interestingly, Lyons experimented with a similar falling swage on styling prototypes for the original XJ6. Wisely, he abandoned this for the more lineal version finally adopted – probably for similar reasons. But nobody appeared to have read their history books at the time. Then there is the issue of the fuel filler placement. Regarding the 2.7 diesel unit. Indeed, it gave the S-Type a real boost in Europe, but it remained too large in displacement for many markets. A smaller capacity diesel would have helped enormously – not that Ford necessarily had an acceptable unit to hand. Additionally, that 2.7 unit, shared with LR and PSA, was quite a problematic unit, durability-wise. The later 3.0-litre version was, I believe a much better, more reliable engine. “an Omega-based, Jaguar styled model, which would theoretically have been built alongside the Opel version in Rüsselsheim.” It could have been quite marvellous, no? Good RWD chassis, right size for a smaller Jag, so yes, if they could differentiate it sufficiently and didn’t do a “Cimmaron by Cadillac” instead. I might have been provokative but now wish I wasn´t. Yes, in all sincerity, it could have been a good one with a proper unique set of sheet metal parts. The Omega 1 was a police favourite for good reason. We do know that GM bought Jaguar it would be as dead as Saab now though. I recall Jim Randle being quite positive about this car when we spoke with him in 2016. It seems GM were pretty serious about it too. The key would have been to have got the styling right. What is apparent is that the ‘New Mark 2’ concept was alive and well at Whitley and Browns Lane before the Ford takeover however, so a retro-focussed theme may well have emerged. It could hardly have been worse than X200 though. Of that we can probably be certain. Richard: had GM bought Jaguar in its entirety (they were talking about an equity stake at the time) and had Jaguar’s trajectory been similar to that of Saab (a distinct possibility), we might actually be relieved at that particular outcome. S.V., I think you’re right about the 75’s headlamp design. The giveaway was those cutouts in the front wing, so clearly designed to house the indicators, or at least the outer trailing edge of the headlamp units. Had MG Rover utilised these for their intended purpose in the 2004 facelift, they would have avoided the rather pinched look that afflicted the car from then on, whereby the front end appeared to have been borrowed from a much narrower car. 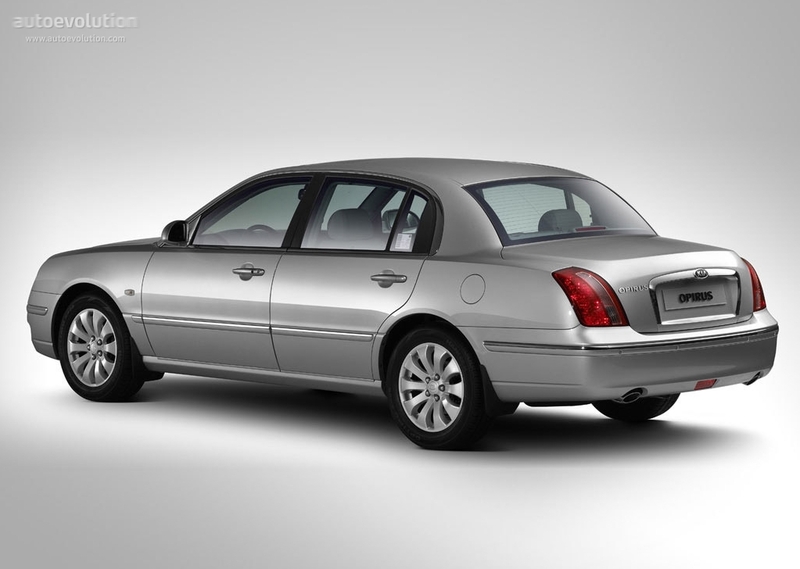 To please the design of the S-Type, i have to remind you of the Kia Opirus. Even the interior of the Kia us screaming : I would like to be a Jaguar! Post of the day, surely? That made me laugh. And yes, it is quite Jaguar. Nobody will be surprised when I say I like its unashamed chintziness. I wish the seats were velour though. Ah the old velour discussion again….. I’m in complete agreement Richard. You must also be congratulated for mentioning both velour and Opel in a thread that seemed to promise neither! Mix thoroughly and you end up with something not a million miles from an alternative vision for the S-Type! Retro anything is always going to be difficult, especially if you’re trying to reconcile 90’s / ovoid design themes with those of a different era. Also, the original S-Type was a mash-up in itself (MK 2 front, MK 10 rear) which Lyons wasn’t very happy with, so it was a tricky place to start from. The MINI brand and new Beetles also show how hard retro can be. At least when Nissan did retro with their Pike cars, it was fairly tongue-in-cheek and they realised the novelty / joke would get old pretty quickly and therefore had short production runs. I think the Fiat 500 is successful, but it looks enough like the original to fool the eye. Finally, it’s easier to get away with retro design in smaller cars; larger cars tend to require more dignity and bolder designs can just come across as cheesy. Would you define an Alfa 156 as retro? It’s full of references of past Alfa styling features. The slots around the grille and the rectangular mesh of the grille itself are pure Thirties’ Alfa, the excentrically mounted number plate, the way the Alfa logo flows into the bonnet with a small bump (‘comet’), the door handles, the shape of the rear screen all were seen on newer Alfas and the instruments look as if they were lifted directly from a 1750 Berlina or a 1750 Giulia GT Veloce. That’s all very retro and still the 156 looks very Alfa and thoroughly modern at the same time. Part of the problem was that Ford was American. Americans have a certain feeling of what a Jaguar is supposed to look like. That is why the X300 and X308 XJ6/8 models were so successful. Even Today I consider my ’97 XJ6 to be the most beautiful Jag ever made! Hello Dave – although the 156 has references to the past, they’re done with restraint and are mostly well chosen – they don’t overshadow the overall design, which I think is superb. So while it draws on its heritage – including in its overall form – it’s still its “own car”. Also, I think the fact that many of the detail references come from a sporty heritage and were well-designed in the first place helps – the pod-like instruments for example are a classic design that works because they’re easy to read and not just because they look stylish. Lovely car, as is the Brera, and I’ve enjoyed reminding myself of them – thank you.